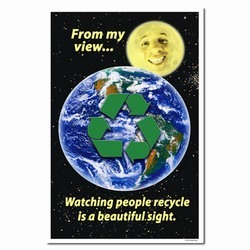 Theme: A smiling moon looks down on an earth which is full of recycling people. 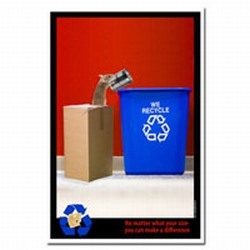 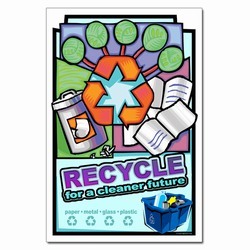 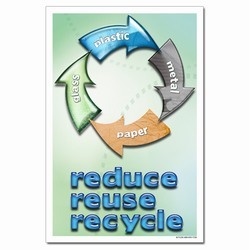 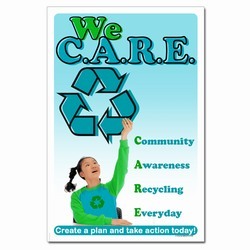 A recycle symbol on the earth stands out to promote good recycling practices. 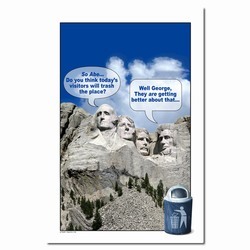 Message: "From my view... Watching people recycle is a beautiful sight."